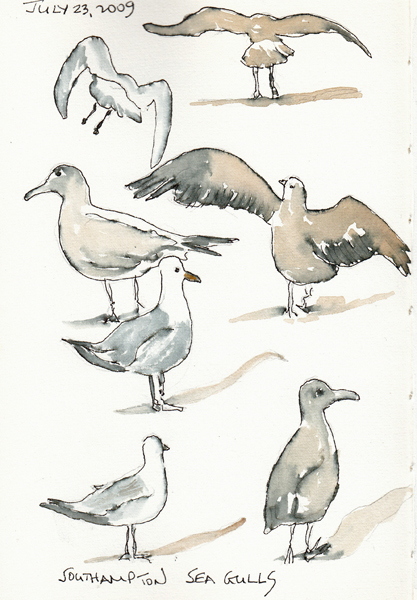 We began going to the beach in Southampton each summer in 2008. Although I no longer enjoy sitting on the beach or swimming in the ocean, I discovered that I love long early morning beach walks, and careful observation of the life on the beach. And I can't control my love of finding shells. Our annual visits have resulted in two BIG containers of my favorite shells - and I will undoubtedly collect more this year. 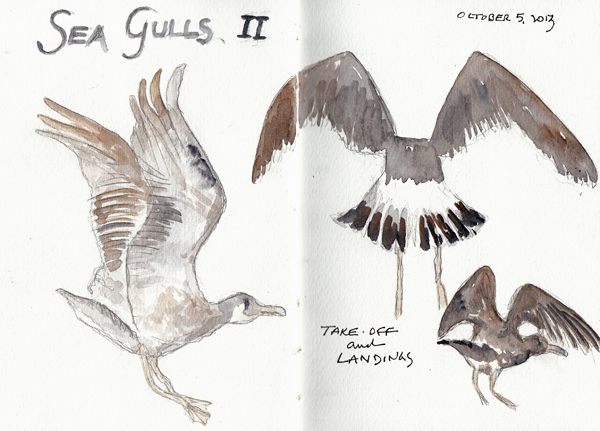 Collecting them also means drawing and painting them and these are a few of my summer sketchbook drawings. 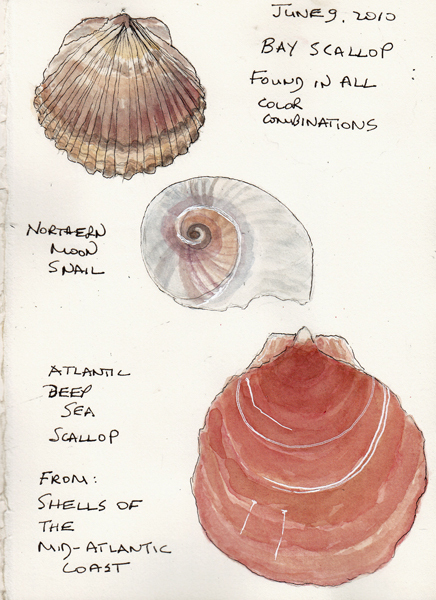 Common and Rare Shells: Scallop shells, which come in so many colors, and moon snails are very common and among my favorites. The deep sea scallop is gorgeous, and I have only found 5 in 10 years. 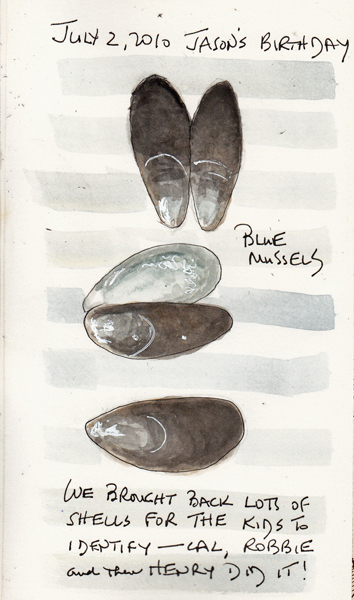 Mussel Shells - I'm attracted to the pearlescent blue interior of these mussel shells. 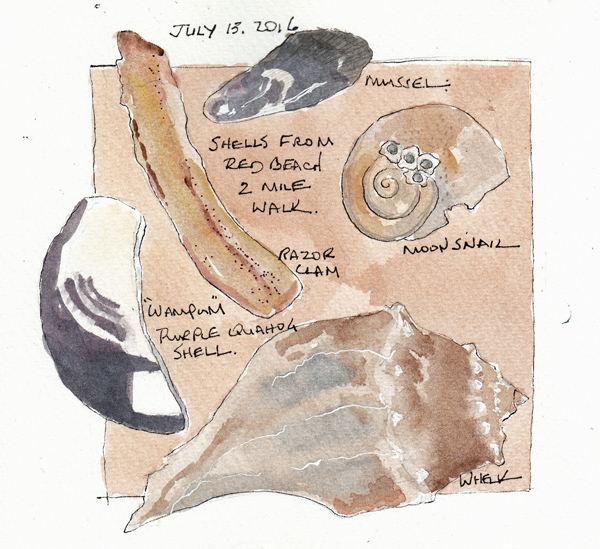 We also visit Martha's Vineyard, and this sketchbook page includes a Razor clam shell, "wampum" (which is a white and purple clam shell), and a knobbed whelk shell. 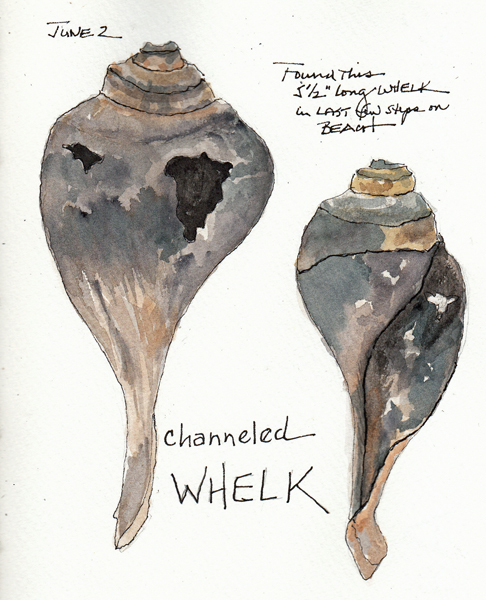 Whelk shells are rare on both beaches. This is one other type I've found - a channel whelk, and I wanted to see if I could accurately represent the holes in the shell. 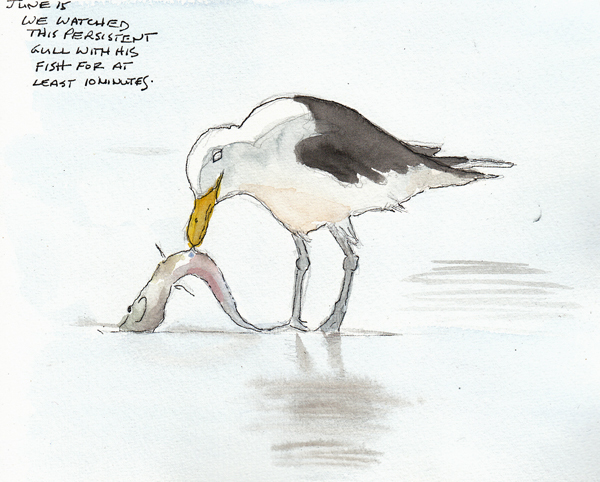 In addition to shells, I've seen and drawn so many other things on the beach, including a Portugues Man of War, skates or rays, and many varieties of crabs. If you "search" on my blog for "sand collars" you'll see one of the mysteries I loved solving. 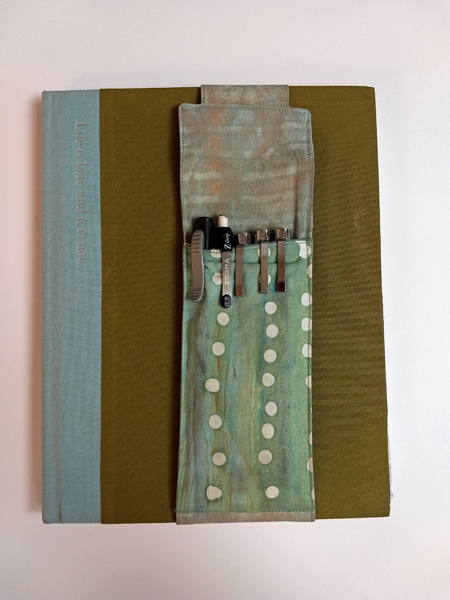 For the last 10 years I recycled an old book to use as a summer sketchbook. They are all different sizes, and have original titles that may or may not suggest a summer theme. But I like the variety, and they are easier to make because I use the original book cover. This year it was a strain on my wrist, because I'm still in PT after my fracture, but I DID IT!. This book was purchased on the $2 carts outside the Strand Bookstore in NYC. 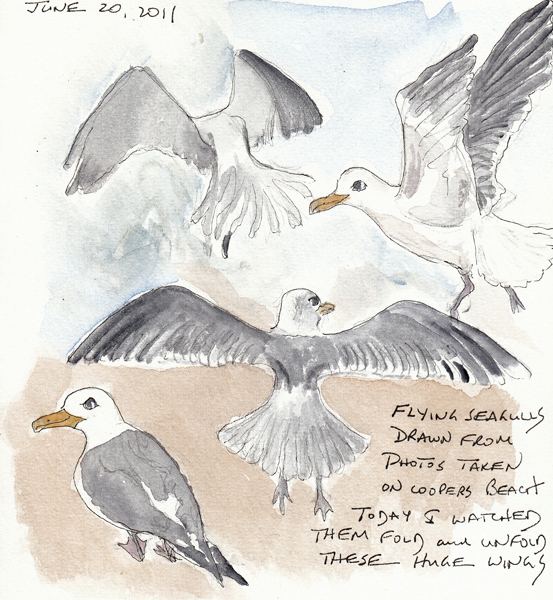 It is 9.5" tall and 7.5" wide, and has 24 pages of Fabriano Artistico 140 lb soft press watercolor paper - enough for daily paintings while we vacation. 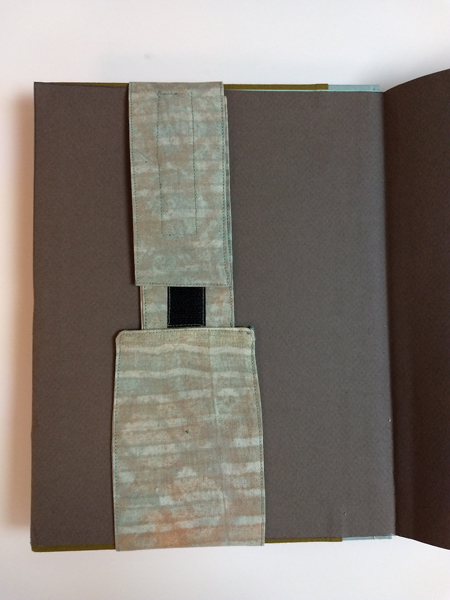 I have a tutorial for "Recycling an old book as a sketchbook" - a 4 part series - at this link. I make pen/pencil holders for the front cover of each book making it easier to carry, draw on location, and paint when I'm back at the house. Mine are made with Velcro, but a simple one can be made from a tube of fabric and elastic. I usually save one or more of the original folios to add to my book, to honor this old book that will be discarded if not purchased from the carts. 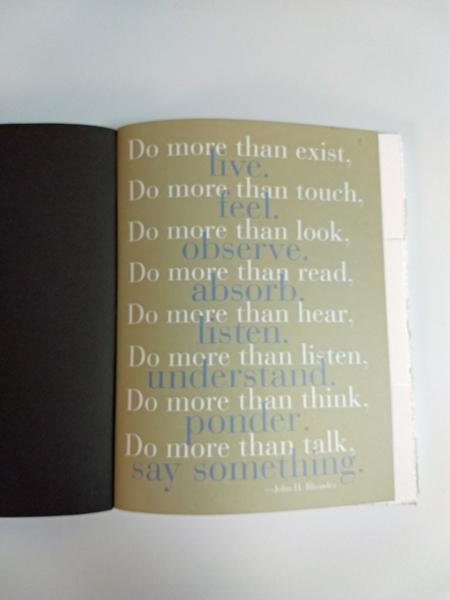 This book was called BE, and it has a quote on one side of the cover ("Life is here and it is now"), and one interesting page that I made the title page of my sketchbook. Christies had their Spring Impressionist/Modern and Post-War/Contemporary Auction previews in the last 2 weeks, and I love to go to see the art that is usually coming out of one collection and going into another. 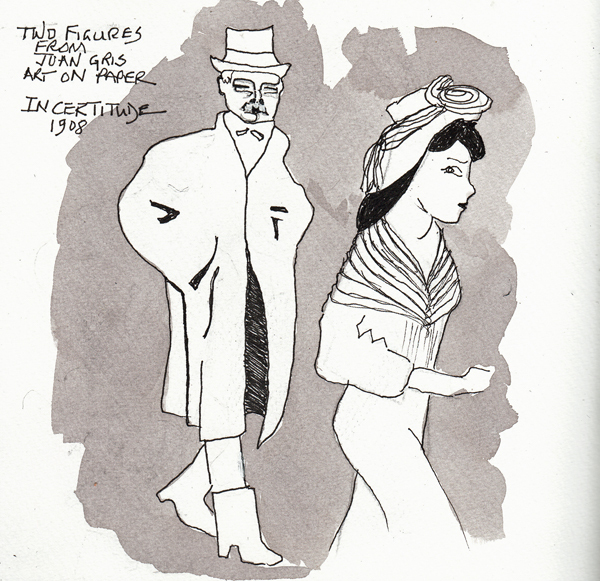 There are always wonderful pieces in their Art on Paper Drawing Gallery and I sketched two figures from a Juan Gris painting, and yet another Matisse face line drawing. 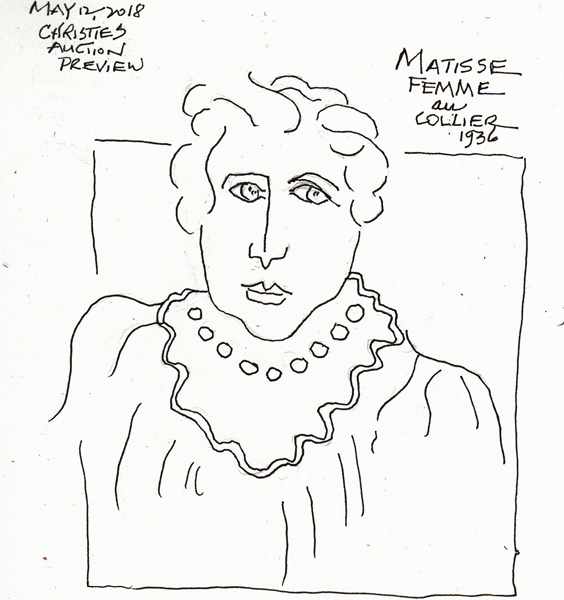 Matisse and Picasso sketched so many wonderful faces in the simplest lines. I love Spring flowers growing along the sidewalks of NYC - most are in planters around the trees, in big urns, or on the medians of wide avenues. 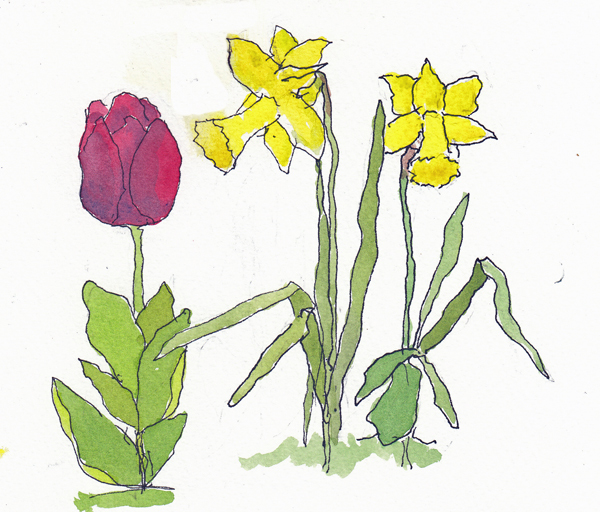 The day I walked to Aquavella Gallery to see the Joaquin Torres-Garcia exhibit I saw my first daffodils in front of our building and beautiful red tulips in the next block. 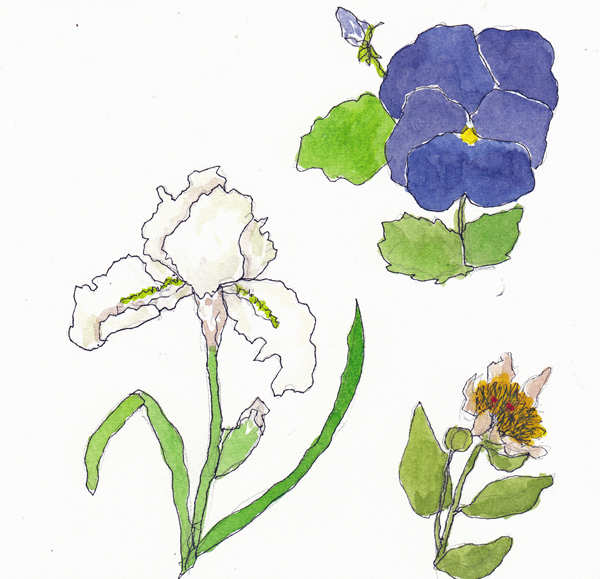 Like the next two sketchbook pages, I drew the flowers with my non-dominant hand, and painted them this weekend with my dominant hand. It felt good to have color back in my sketchbook. Wagner Park May 2nd: I arrive for the weekly Figure Al Fresco session while the Wednesday Battery Park City morning program is still in progress, and walk through the Park to find the most recent blooming flowers. 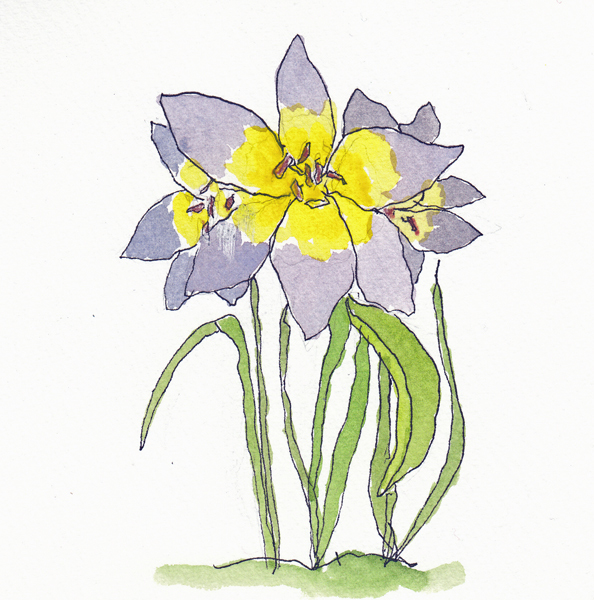 Most of the artists are painting the beautiful landscapes, but I prefer drawing and painting individual flowers. Although my cast is off, and I'm getting PT twice each week, I still have some limited movement and pain. Since this is my first fracture, every day I learn something new about how the body heals.